Socialist Party :: Greenwich council tenants: We won't pay! We won't move! Around 20 people met in Eltham on 20 August in response to a letter from Greenwich council threatening 22,000 Greenwich council residents with a rent increase in April 2017. The council has indicated that it will implement the housing act, including 'pay to stay'. This means that those in council housing in London earning over £40,000 a year will have to pay market rents. Nancy Taaffe, a housing campaigner and Socialist Party member, spoke about the need for a mass campaign like the poll tax. When 18 million refused to pay the tax, which was eventually beaten. She pointed to the campaigns in London at Fred Wigg and John Walsh Towers and Butterfields as models we can use to fight this attack on council and social housing. 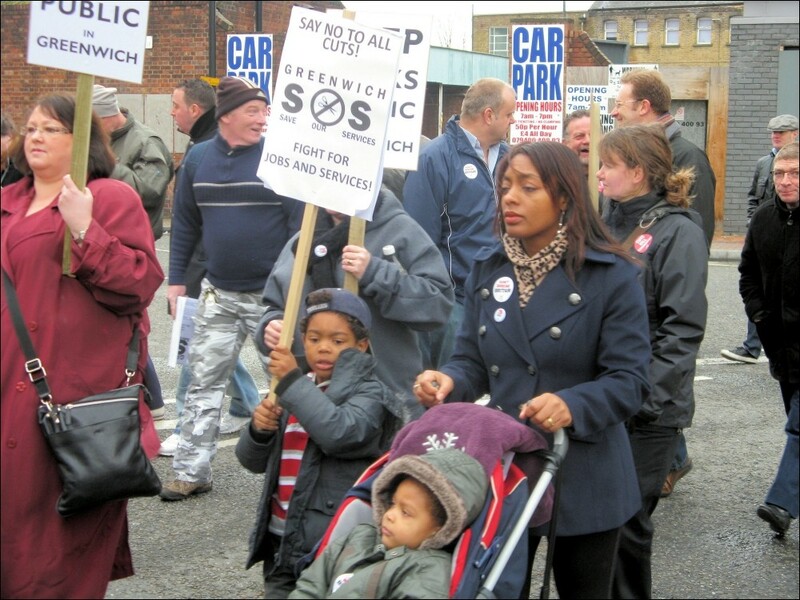 It was agreed at the meeting that we would hold a demonstration on 10 September marching from Archery Road in Eltham at 11.30am to Woolwich to kick start the campaign.